Here at the Ohlmann Group, we have a long history of giving back to the Dayton community. Since we opened in 1949, we have been committed to a tradition of being a socially responsible and caring for our community. Part of this commitment includes encouraging employees to take time each month to volunteer for a local organization. This week, a group of us volunteered at Crayons to Classrooms in Dayton. A nonprofit organization, the mission of Crayons to Classrooms is to enhance the readiness to learn of all children in need in Dayton by providing them with school supplies—at no cost to the children’s teachers, families, or schools. 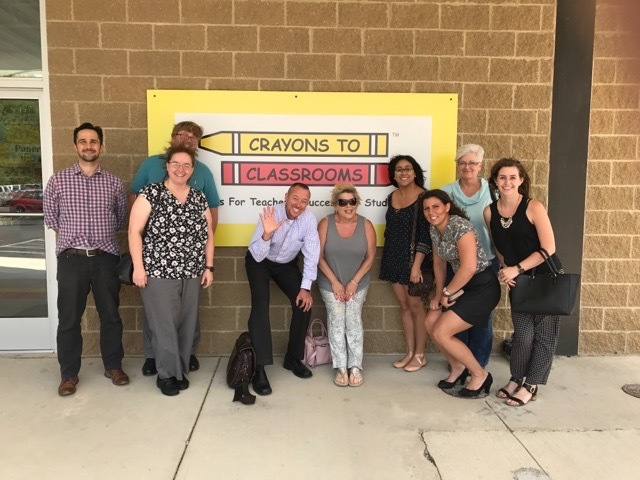 Through the assistance of volunteers and donations, Crayons to Classrooms provides a free store for teachers from under-funded K-12 schools in the Miami Valley. 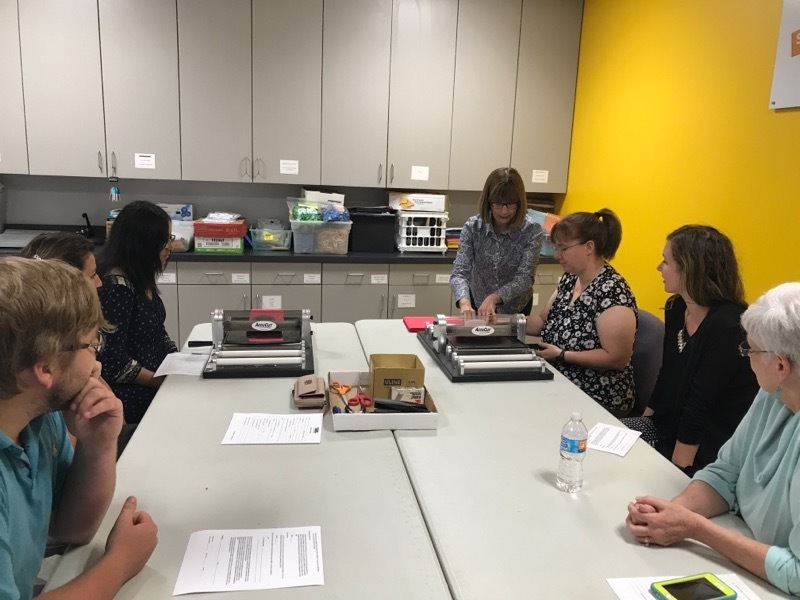 For our volunteer project, we helped assemble products for the store’s classroom solutions section. 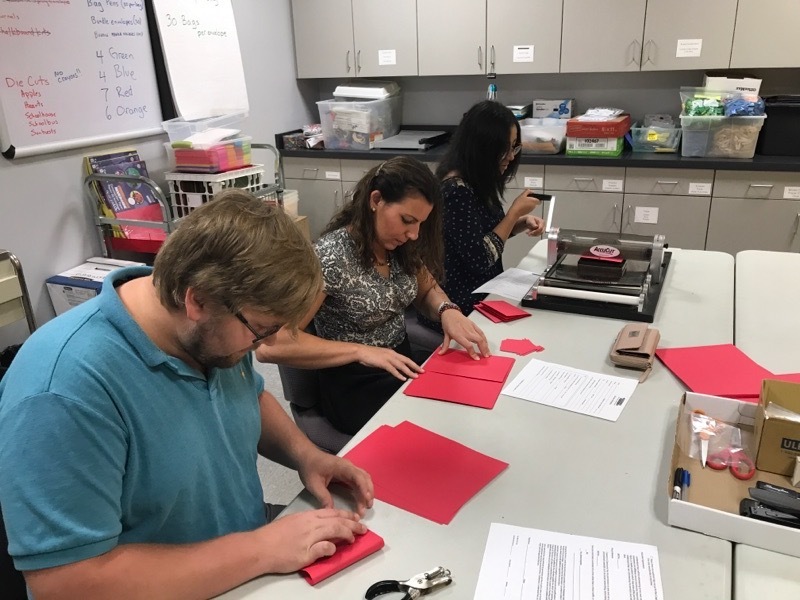 As a team, we worked to cut paper shapes for classroom decorations or projects and assembled journals for students, preparing these products for display in the Crayons to Classrooms free store. Helping this great nonprofit organization, even in a small way, was rewarding and fun. It also served as further affirmation that we work well as a team! We’d like to send a special thank you to Jill Moberly, Volunteer Facilitator with Crayons to Classrooms, for arranging our visit. We’re looking forward to our next volunteer opportunity in the Dayton area. Learn more about donating to Crayons to Classrooms here.